Let everyone be hooked by the way you look in this My Charming Love Magenta Georgette Long Kurti, a one of its kind beauty. 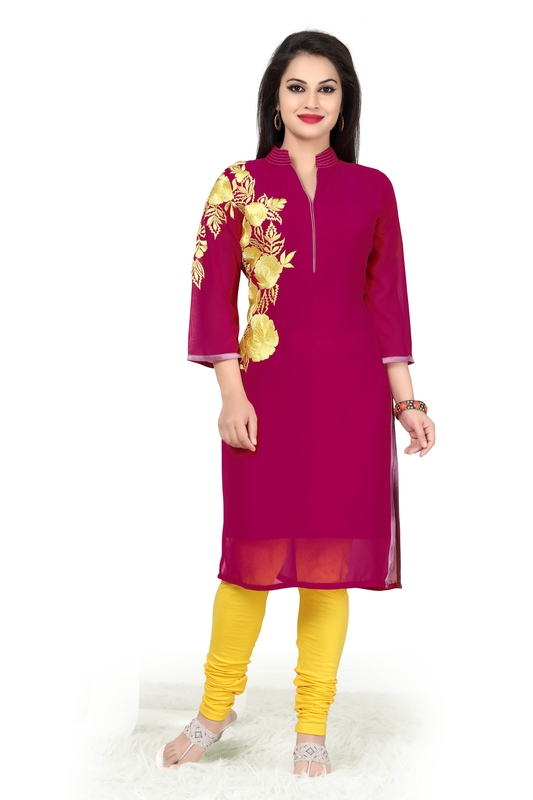 This Chinese collared long tunic has been made out of fine quality georgette. 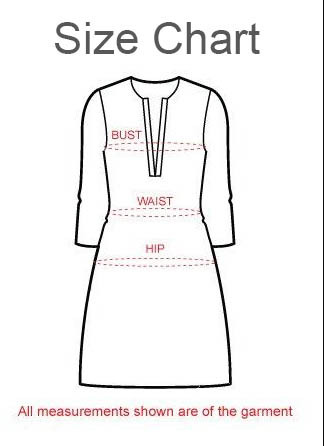 The collar and neck line of the tunic are decked with subtle threadwork. A shoulder and adjoining waist of the tunic are adorned by picturesque floral embroidery. The sleeves and the base come with beige colored taping for the essential finish.